*VWC INDIVIDUAL POINTS SYSTEM – Each race assigns points based on the men’s/women’s results according to the following breakdown: 100-88-78-72-68-66-64-62-60-58-56-54-52-50 down to 2 points to the 30th position for men and to 10th position for women. 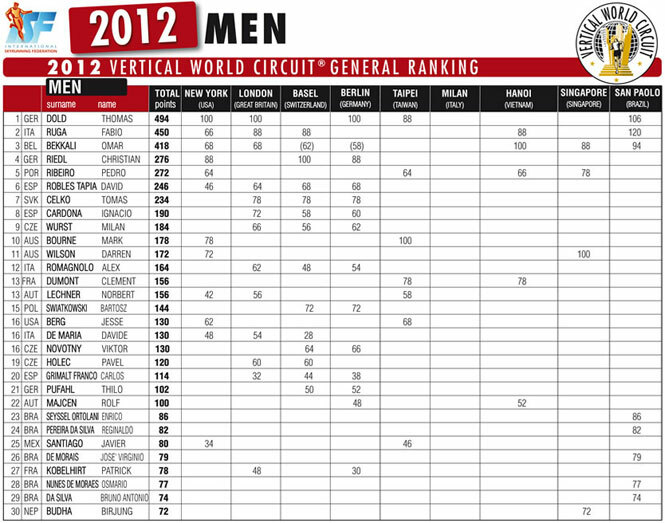 The ranking points in the final race will be increased by 20% for all Vertical World Circuit competitors. The four best results out of the eight-race circuit are scored in the final ranking.